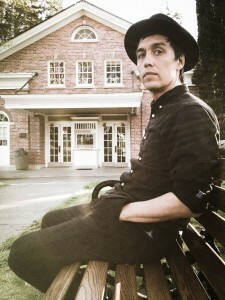 We’re thrilled to announce that Greenlandic/Danish singer-songwriter Simon Lynge has just joined the Integrity family. Described by The Times as singing “strikingly pretty, melodic songs with his pure warm voice” and having drawn comparisons with Elliot Smith, Jose Gonzales and Simon & Garfunkle, Simon’s songs have already featured on BBC Radio 2, Radio London & soundtracks for films such as American Pie 6. His fourth album, ‘Deep Snow’, will be released by Integrity (in conjunction with our friends at Songcrafter Music in Denmark) on 23rd November. In the meantime, listen out for new single ‘Age of Distraction’ out on 7th September. This entry was posted in News-Posts and tagged age of distraction, deep snow, greenland, new signing, simon lynge, songcrafter music. Bookmark the permalink.